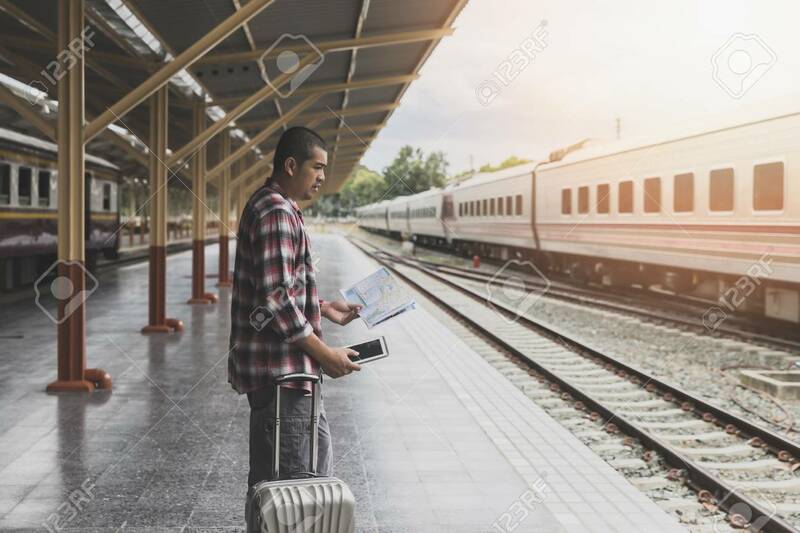 Traveler With Baggage And Map In Train Station. Travel Concept. Lizenzfreie Fotos, Bilder Und Stock Fotografie. Image 116539913. Standard-Bild - Traveler with baggage and map in train station. Travel concept. Traveler with baggage and map in train station. Travel concept.